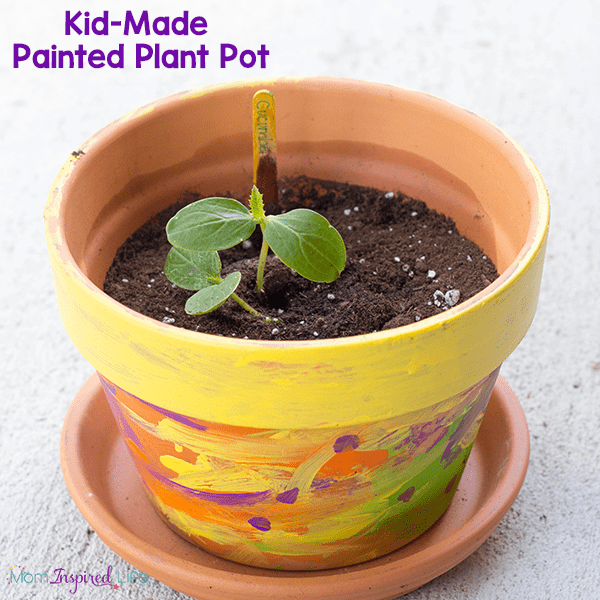 These painted planters or flower pots are a great kid-made gift! 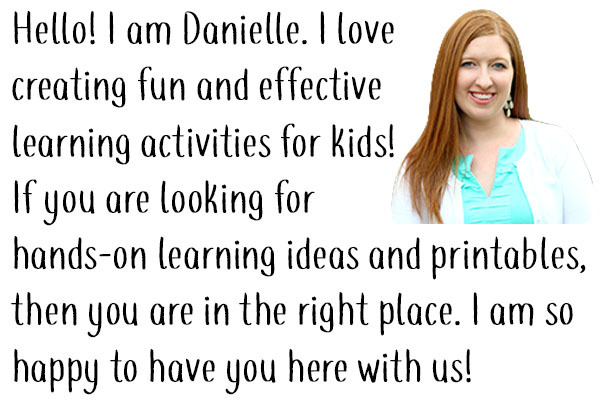 They are perfect for Mother’s Day or as an end of the school year gift for teachers. The best part is that they come with a growing vegetable plant. Give a gift that keeps on giving! 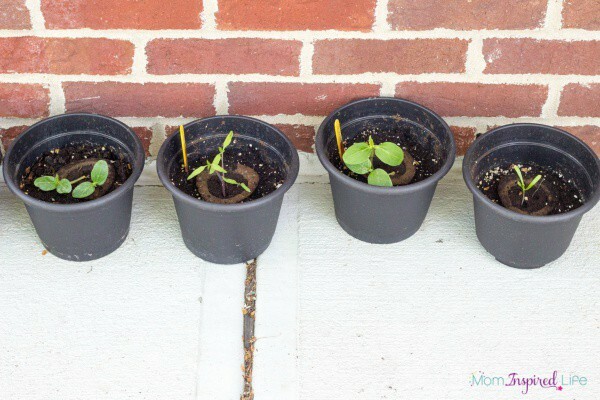 A few weeks ago, we planted several different vegetable plants thanks to the new Miracle-Gro® Gro-ables and they are really doing well! 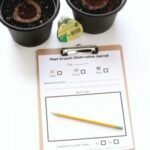 My son has been recording his observations with this neat plant growth observation sheet I created. With Miracle-Gro® Gro-ables, everything you need to grow a herb or vegetable can be found in the seed pod and they are all guaranteed to grow! That was music to my ears because I don’t have a green thumb at all. I am actually still quite surprised that they are growing and doing so well. Since they are doing so well, we thought it would be an awesome idea to gift a couple of them to the kids’ grandmas for Mother’s Day. To do this, we wanted to have beautiful plant pots to put them in rather than the ugly black pots we were currently using. 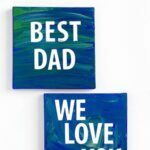 That’s when we decided to paint our own pots and really personalize the gift. We all know that grandmas love kid-made gifts. They are so much more heartfelt. You only need a few supplies for these pots, so they are actually quite economical too. 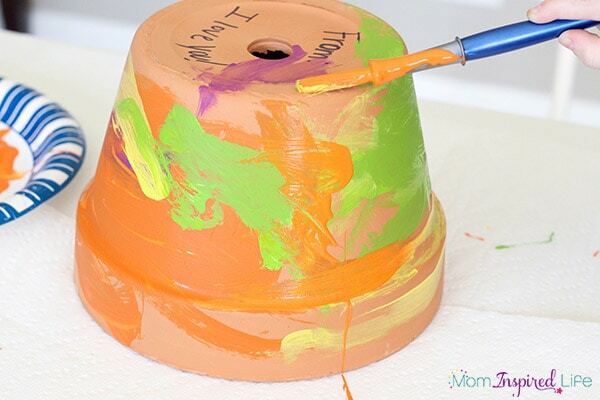 Squirt paint onto a plate or in separate small cups. 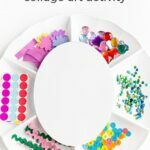 Place a paintbrush in each color of paint. Cover work surface with a cloth or newspaper. 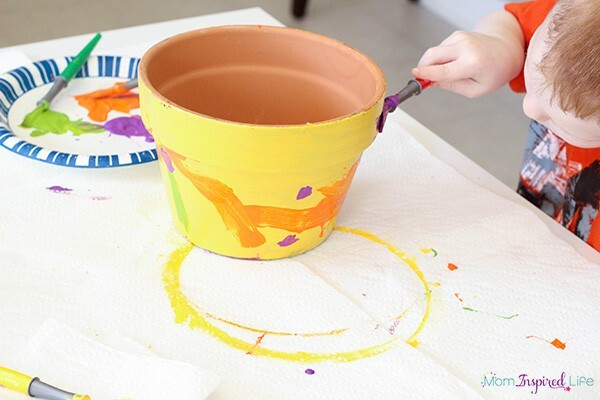 I allowed my kids to freely paint the pots in whatever way they wanted. I kept it all about the process and didn’t require them to stick to a color scheme or design. 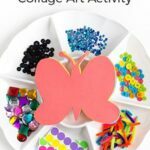 I wanted it to be totally kid-directed and easy for toddlers and preschoolers to do on their own, but if you would like to do something more planned out that would be great too. We used colors that we thought were bright and cheery because it was important to the kids that the pots look happy. They used whatever colors they wanted, but I did try to keep the colors from mixing into a weird brown color. 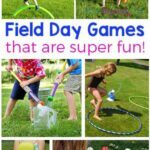 Other than that, it was an independent activity. After they were painted, we left them to dry and then came back later to spray paint them with a clear coat so they would be a bit more durable. 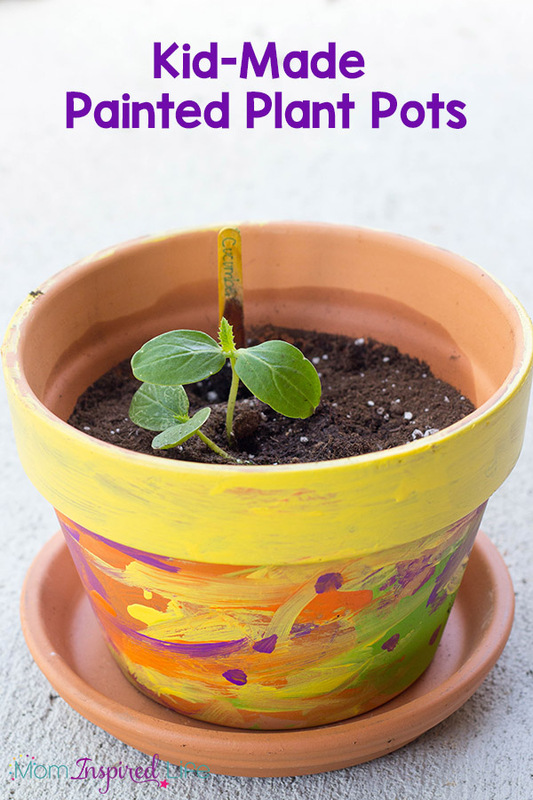 Don’t forget to use permanent marker to add names or a message to the bottom of the pot before you spray them with the clear coat. Once that was dry, we carefully transferred the plants to the new pots. Now they are all ready to be gifted! For the time being, we will continue to water them and make sure they get enough sun so they are healthy and happy when Mother’s Day rolls around. We absolutely love how they turned out and I know their grandmas will too! I am sure they will treasure them for a long time to come. Plus, they will be so excited to have a plant that will soon give them vegetables they can eat this summer. 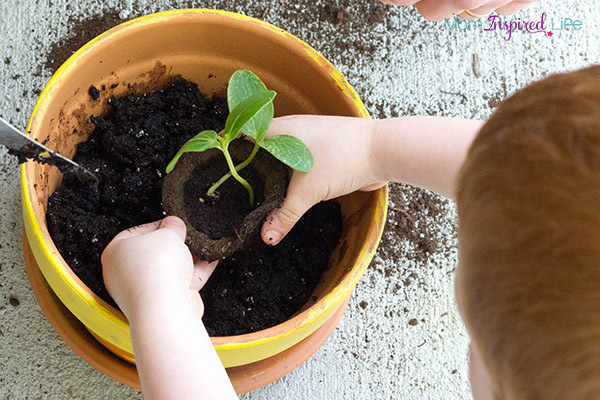 Miracle-Gro® started Gro-ables Project which is a movement to share the fun and excitement of growing herbs and veggies while giving kids truly hands-on learning experiences. 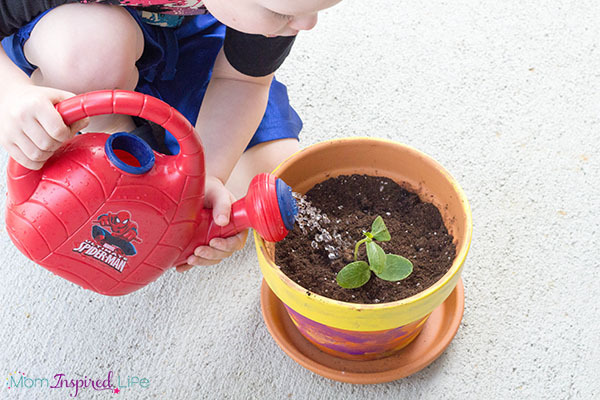 Join us by planting your own Gro-ables and painting pots for them! Don’t forget to share how it went in the comments.